Russell Wilson Signs, What Happens Next? It happened y,all! Russell Wilson has agreed to a new deal with the Seattle Seahawks that will keep him here the next five years, including the upcoming season. The deal, reported to be a 4 year extension for $87.6M, with a $30M signing bonus and $61M in guaranteed money, is very close to what the Seahawks have been willing to do all along. Let’s talk about how this unfolded, and what this means for Bobby Wagner and others on the roster. 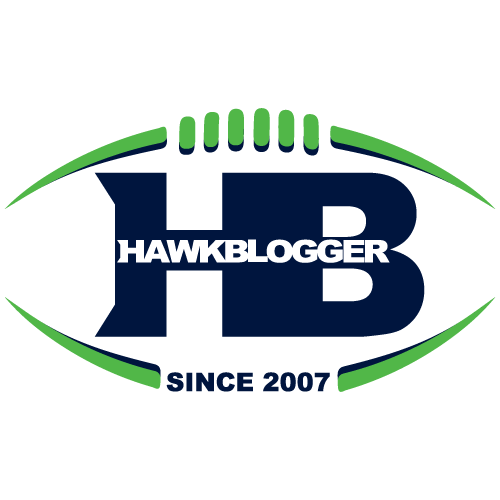 I was the first person to write about the hypothetical possibility that Russell Wilson might end up playing for another team. Whispers on both sides of the negotiation gave me a pretty clear picture of two very principled groups who were not likely to come off their spot. This was not a normal negotiation, even if it ended in a very normal manner. Deadlines drive deals. In this case, the Seahawks appear to have upped their upfront money by giving a larger signing bonus, but the overall structure of the deal changed very little from what they were willing to do all along. Wilson’s agent, Mark Rodgers, and Wilson absolutely wanted $25M per year and a lot more guaranteed money than the Seahawks were willing to surrender. If Wilson was going to stick to his position, there would have been no deal. If there was no deal and the Seahawks were forced to franchise him next year, it was absolutely a real possibility that he would have eventually played elsewhere. He moved off his position, and in doing so, made a deal possible. The deal he accepted puts him a tick below Aaron Rodgers annual salary. It is a fair deal. The Seahawks front office got their man, and got him at the structure they wanted. This was a lot closer to not happening then people will ever realize. The Seahawks currently have $9.3M is cap space, according to OverTheCap.com. Wilson’s signing bonus is prorated across the life of the deal, which includes this upcoming season. That would roughly $31M over 5 years which means about $6M of that cap room disappears when this deal is signed. Teams like to keep about $3M of cap space going into the season for injury-related signings, so the Seahawks are basically out of cap room now. They will likely waive Tony McDaniel soon as a result of this deal. That will save $3M of cap space. If they want to get someone like Bobby Wagner signed before the season, they may also restructure Brandon Mebane’s deal. He counts $5.7M against the cap this year. A hefty $5.5M of that is base salary, so they could sign him to an “extension” that pushed some of that base salary out to next year and possibly the year after by converting it to a low base salary with a nice signing bonus. It is also possible, maybe even likely, that they wait to sign Wagner until late in the season when they see what is happening with injuries. That would help give them some cap flexibility. For now, they will try to see if they can sign him before the season starts and perhaps his price goes up. Kam Chancellor looks like he is holding out, and little changes with this Wilson news. Freeing up cap space is next on their list, then Wagner, and then they might consider something elsewhere. Realistically, Chancellor will holdout for a week, and then come back with few, if any, concessions from the team.